The WordPress admin tools were customized and synced with the Mega Menu drop-down. Russ's staff is now able to keep their HVAC services organized & up to date. 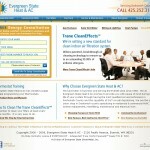 We approached Russ with a better way to do websites. We had just spent a year-and-half researching & developing the best way for clients to control one of our custom-designed business websites. 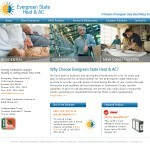 Having built the previous two websites for Evergreen State Heat & AC, Russ took a chance and said let's do it. 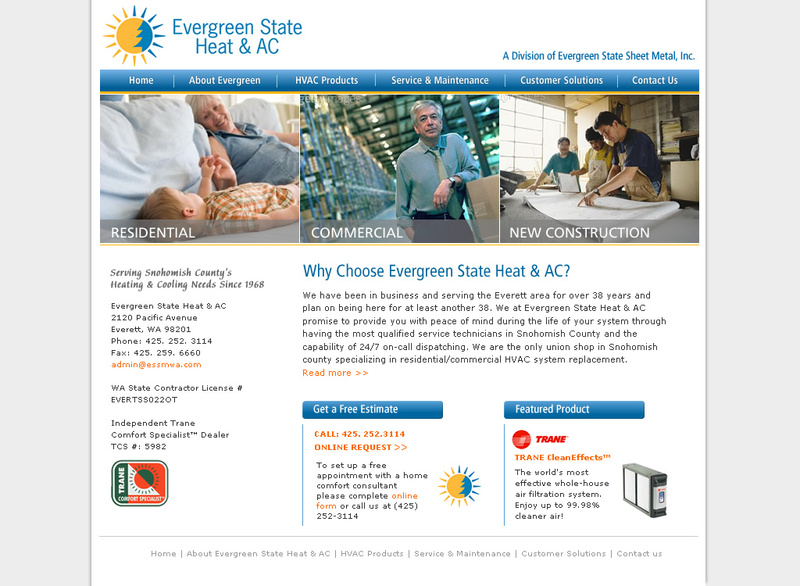 For the 3rd version of Essmwa.com we moved the entire web site onto the WordPress platform, gave it a fresh, responsive HVAC web design then integrated our Managed WordPress framework to enable Evergreen’s employees to create & update their website text and photos for key sections of their WordPress HVAC website. For Russ, we built him his own custom-post-type called “Postings” that made it super easy for him to write timely articles and post images automatically to the home page, landing page & the posting detailed pages. This way on the HVAC homepage at Essmwa.com, Russ can keep site visitors updated on the latest going-on’s, via the new HVAC web design. 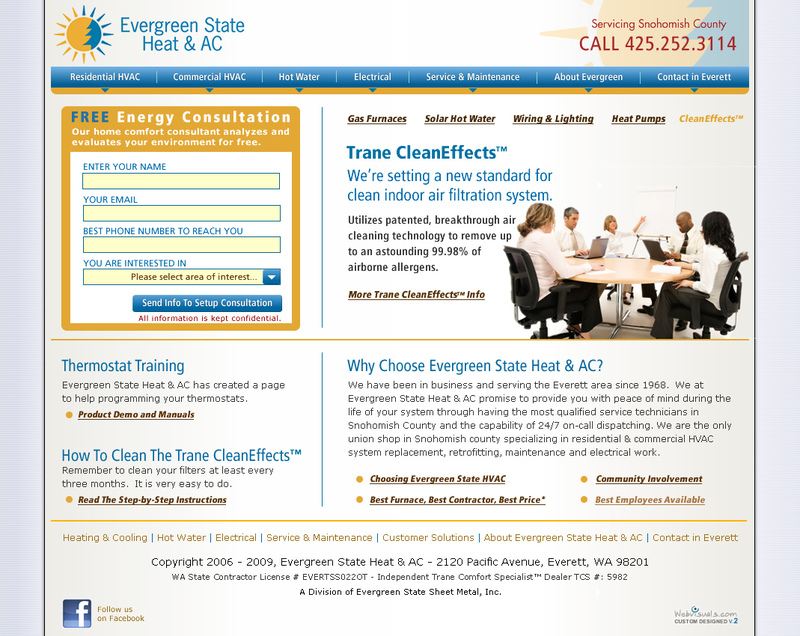 For Leslie, the Energy Consultant, we built a Testimonials custom post type where she could login from anywhere and create new testimonials by simply entering job site title & city, what they said, their name and a ranking. All the testimonials that have been entered display in a random order so each page visit a user will see new testimonials playing. From the analytic reports we realized the employee videos were some of the most popular. We redesigned the page to be faster loading and the admin tools to keep the company roster up to date. Ron is a complete pleasure to work with and will always go the extra mile to make sure everything is just right. Owner of Evergreen State Sheet Metal, Inc.